Finding the best flooring ideas for your kitchen is important. Not only do you want a flooring that is functional, but one that also goes with your personal style and the style of your home. There are several different materials that are great flooring ideas for kitchens that all come with their own pros and cons. 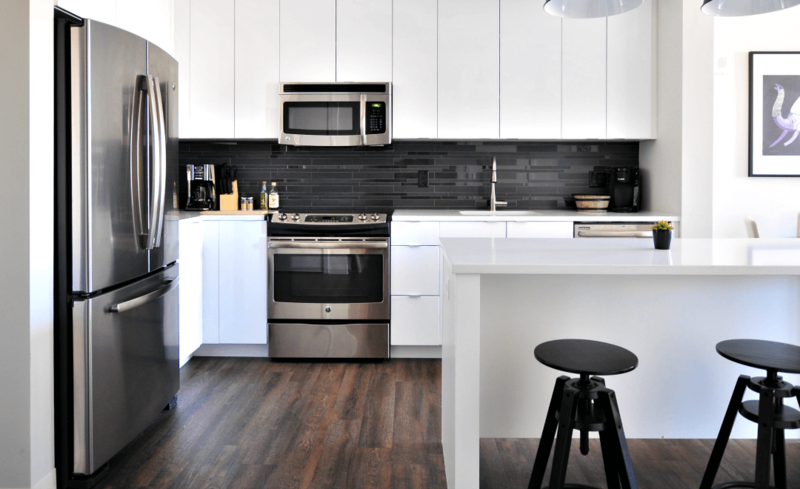 Check out these common flooring ideas for kitchens to learn more about the benefits of different flooring options for your kitchen! 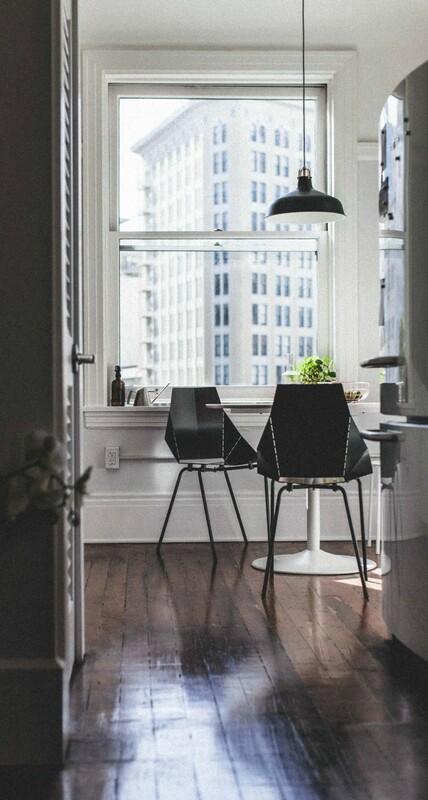 Hardwood floors are classic and look good in almost any space. Not only can they increase the value of your house but they can match well with kitchen appliances and furniture. Along with solid hardwood floors which have more varieties, engineered hardwood is an increasingly common flooring material. Be careful if you also have wooden kitchen cabinets and furniture that you find a hardwood floor that matches or compliments the existing pieces in the kitchen. Cons: Scratch easily, noisy, susceptible to water damage. Engineered hardwood is a flooring material made out of layers of thinly-sliced hardwood build atop a high-quality plywood base. It’s easier to install than solid hardwood since you can either staple it, nail it, or even glue it. Engineered hardwood doesn’t have the same longevity as real hardwood, can chip and dent more easily, and comes in fewer varieties. However, it is still really durable and a bit better than solid hardwood at resisting water damage. Tile is a great flooring idea for kitchens. It is durable, easy to install, and comes in a large assortment of colors, styles, materials, etc. 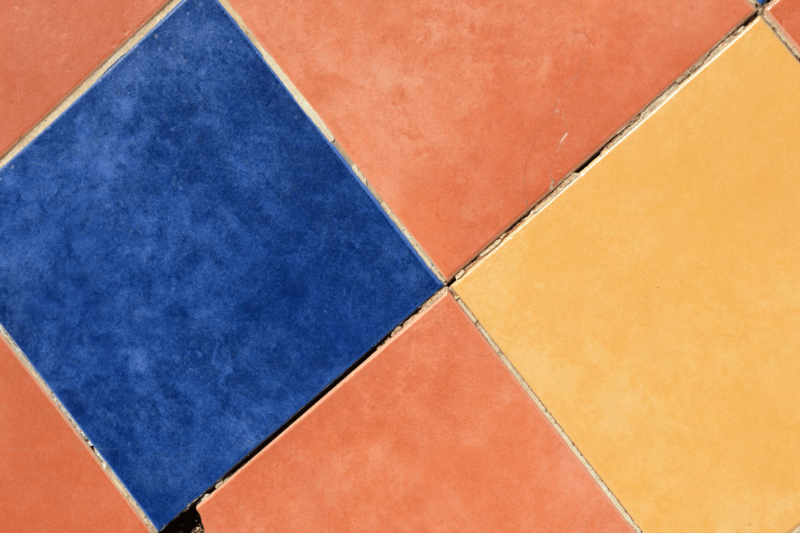 With tile floors, it’s easier to be expressive and artistic with patterned tiles and creative color use. Tile can provide a more artisanal look for your kitchen and won’t be easily damaged. You can also invest in high-quality materials other than plain ceramic tiles, such as terracotta or even marble. A lot of homes today go with laminate flooring because it is a cheaper alternative to traditional hardwood floors. It has a similar appearance to real wood but is easier to install and comes in more variety. Padding can also be installed under the laminate flooring for more comfort. For kitchen flooring, however, laminate flooring may not always be the best option since it buckles and warms with water damage. Concrete can give your kitchen a more modern and simplistic look and can open up the space. Concrete floors are no longer just for garage and are becoming more common in contemporary home interior design. Not only is concrete quite literally a hard kitchen flooring option, but it’s easy to personalize. You can refinish concrete to give it patterns and textures, give is a smooth gloss, or you can paint and stain your concrete kitchen floor to fit your own style and set the tone for your entire kitchen. Cons: Heavy, can be expensive to install, can be cold and uncomfortable for bare feet. This is certainly not a comprehensive list (some other great kitchen floors range from bamboo and cork to stone and rubber), but hopefully, this will help you get started with your own flooring ideas for kitchens! Still have questions about flooring? We’ve got you covered. Sound easy enough? We’re happy to help. Contact us at Illinado for all of your kitchen projects and flooring needs.